When runners aren’t running, they are talking about running, planning their next run, shopping for running. This book contains 101 stories from runners, telling their stories to other runners about. running â€” how it has changed their lives, their bodies, and their spirits. 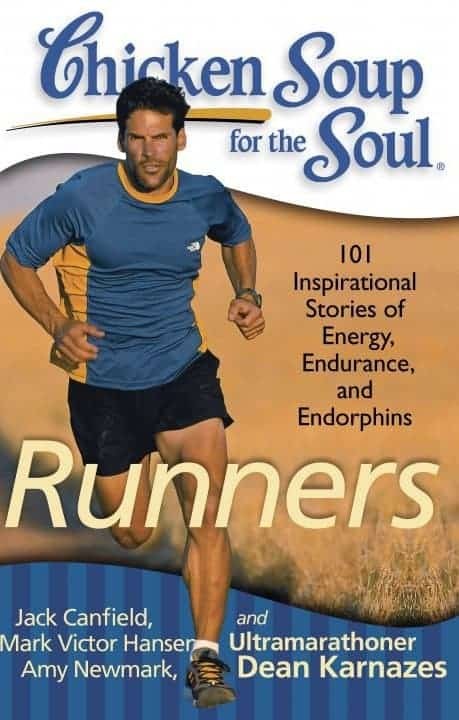 Runners will love these inspirational stories of fellow runners challenging themselves, recovering from injuries, and staying motivated.Â Chicken Soup for the Soul: Runners also includes amazing stories of marathons, camaraderie, and the natural high that comes from this popular sport. It holds plenty of stories for triathletes too, covering swimming and cycling. I am ecstatic to be a part of the Chicken Soup for the Soul blogger program because I have always been a fan of their books. I remember reading a bunch as a teen and I am excited to be able to feature a new book every month! This month the book is Runners. As I was reading the short stories in the book, I reminisced about my days when I was a runner. I can totally relate to Â how exhilerating running is and the “high” you feel as your feet pound the pavement. I used to run just about everyday both outside and at the gym. I actually lost 70 lbs after Olivia was born. I miss it terribly. Now that I have chronic pain issues, I can no longer run. Somedays I am lucky if I can walk. Its been a tough road. I liked the inspirational stories and how I could live vicariously through each of the author’s and feel what they were feeling and imagine their experiences. It made me feel both inspired to get up and get active and wistful because my body won’t cooperate. Â It was a bittersweet book for me because of my own previous history. I think this would be a great book for any runner to read or anyone who wants to get motivated to get into shape. The stories are both inspiring and heartfelt. As usual, many brought a tear to my eye. I am going to have to share this book with my mom and sisters who both run and actually do races. They are in awesome shape. I envy them. Runners is an excellent book for everyone to read and be inspired to move your body! sounds like some good inspiration. I’d love to win this book for myself and my husband! We’re training together for a marathon later this year so it would be very inspirational! 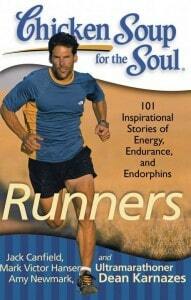 I would love to give Chicken Soup For The Runners Soul a read. I love the chicken soup for the soul series! I think this would be good for the runners in my life. Cute and Creative website!! 🙂 Thanks for the giveaway!! Look forward to following you in the future!!! I â€œLikeâ€ Chicken Soup for the Soul on Facebook. This would be a perfect gift for our top performer on our Undy 5000 – Dallas team! We’re running to raise awareness and money for cure for colon cancer in my daddy’s honor in October! Go Chisum’s Crew!!! My husband would enjoy this book.